Take an intimate look at six technology-using high schools and gain useful insight regarding how computer and Internet technology can best support teaching and learning. The Connected School offers school administrators, leaders, and teachers a behind-the-scenes look at what happens when a school becomes "connected," not just in terms of computers and networking but in terms of teacher collaboration and support as well. 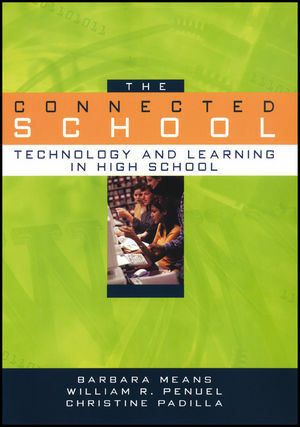 Based on the real life experiences of six "connected" schools, the authors make a compelling case for the appropriate use of technology and show how it can greatly enhance students' learning experiences and further their educational goals, even in challenging urban settings. Barbara Means is directs of the Center for Technology in Learning at SRI International, an independent nonprofit research organization based in Menlo Park, California. She also codirects the assessment research team of the Center for Innovation Learning Technologies, a center funded by the National Science Foundation. William R. Penuel is a senior educational researcher at the Center for Technology in Learning at SRI International. Christine Padilla is assistant director of SRI's Center for Education Policy.